BELFAST, ME – 23 July 2018 — The United States Department of Transportation ’s Maritime Administration has awarded a $667,028 grant to Front Street Shipyard of Belfast, Maine, as part of the 2018 (MARAD) Small Shipyard Grants program. 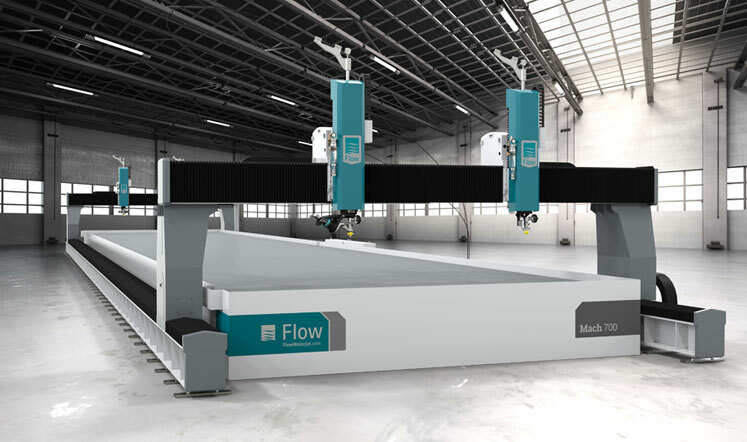 Front Street Shipyard will use the funds toward its purchase of a Flow Mach 700 Waterjet Cutting Machine. The equipment will streamline the construction of custom and production vessels, reducing costs and improving quality of the end-products. Front Street Shipyard’s new waterjet cutting machine will be the largest of its kind in the State of Maine. Capable of cutting nearly any material including stainless steel and titanium, it will machine very large parts such as wooden frames for recreational boat molds and carbon fiber panels for commercial ferry construction. Shipwrights will cut parts directly from electronic data drawn by engineers, reducing production time while also improving quality and accuracy. “With a machine of this size and capability we hope to attract diverse projects, including non-marine applications,” said JB Turner, president of Front Street Shipyard. The waterjet cutting machine will be installed in Front Street Shipyard’s new addition to its facility, currently under construction on a lot adjacent to its existing yard. The 22,500-square foot building will accommodate large yacht refits and commercial vessel construction projects while adding dozens more full-time jobs at Front Street Shipyard. Front Street Shipyard will begin installation and operation of the waterjet cutting machine early this winter. 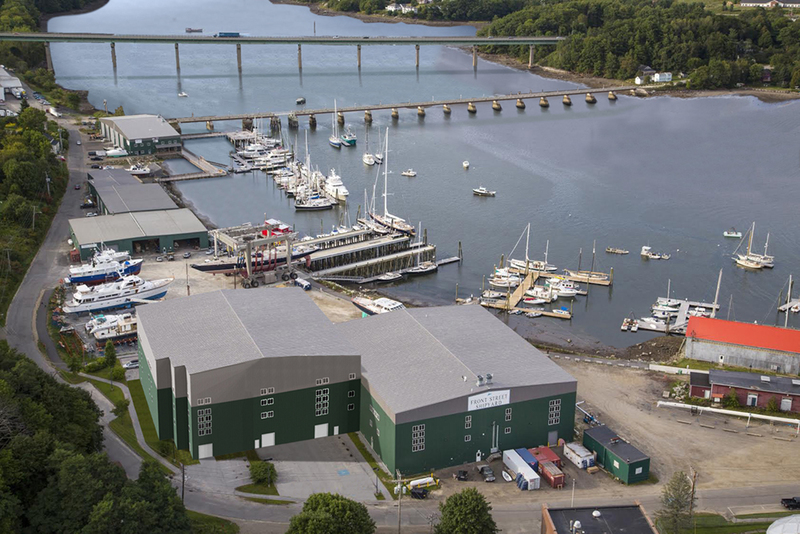 Now operating in its seventh year on the Belfast waterfront, Front Street Shipyard is currently accepting job applications for upcoming technical and labor positions in its new facility.